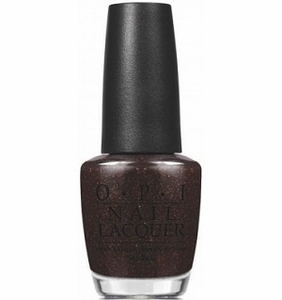 OPI Nail Polish, Today I Accomplished Zero, NLC17, .50 fl. oz. Metallic pink glitter in a translucent black jelly base.